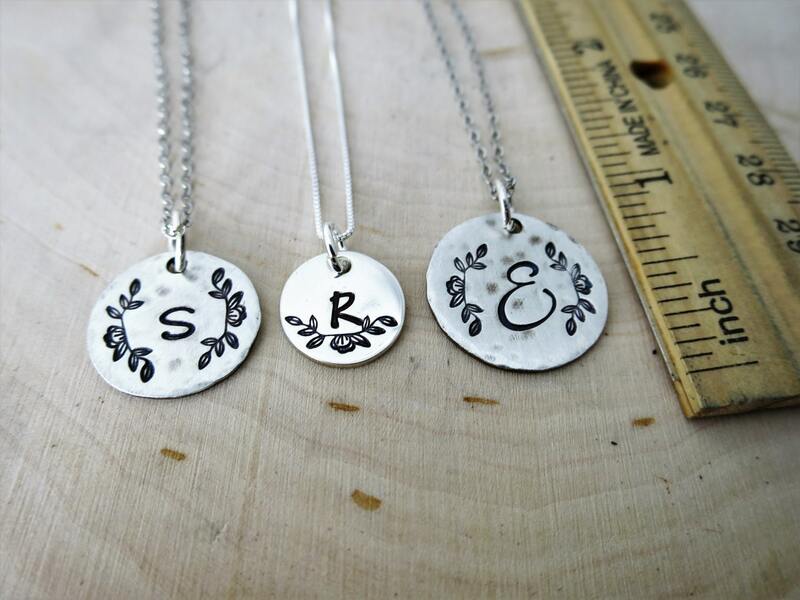 This 1/2" sterling silver pendant will be hand stamped with the initial of your choice in my Laila font, Sadie font or Modern Script font. 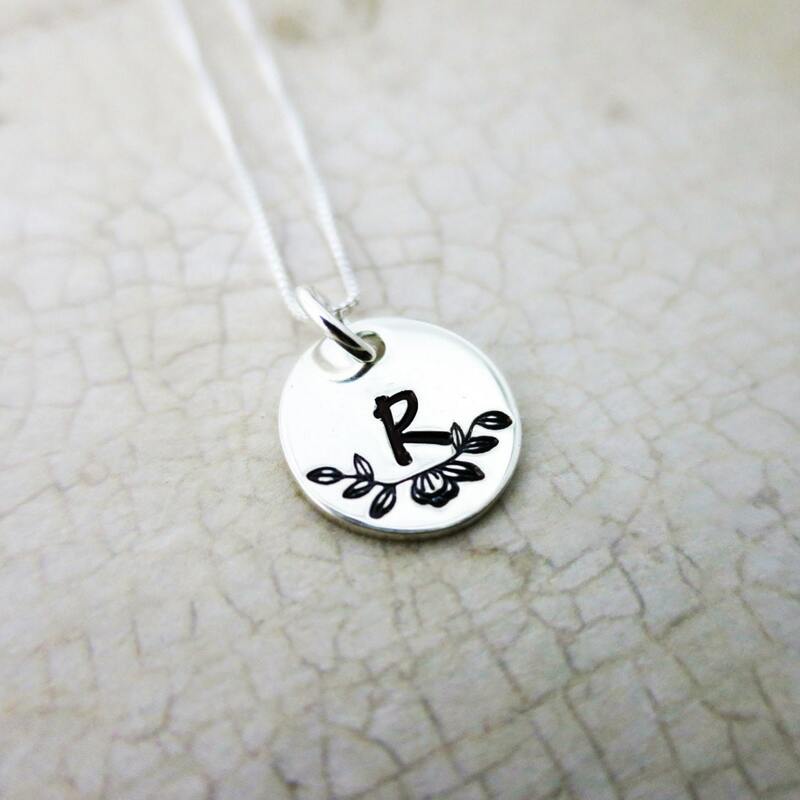 It will be accented by hand stamped magnolia branches and then ink darkened for contrast. 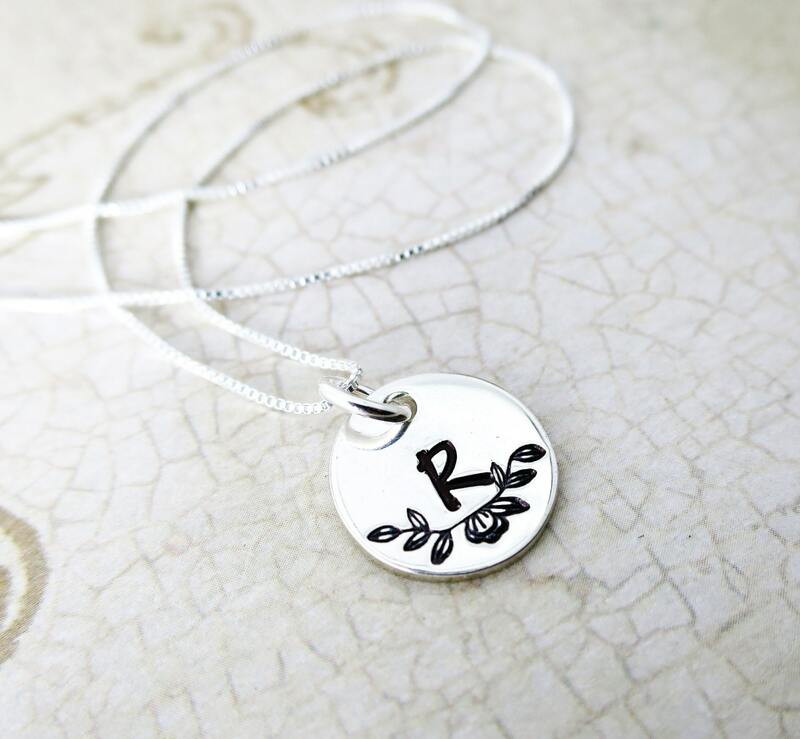 Pendant is paired with a delicate sterling silver box chain in your choice of 16", 18" or 20". Please note your font choice in the space provided for notes at purchase. 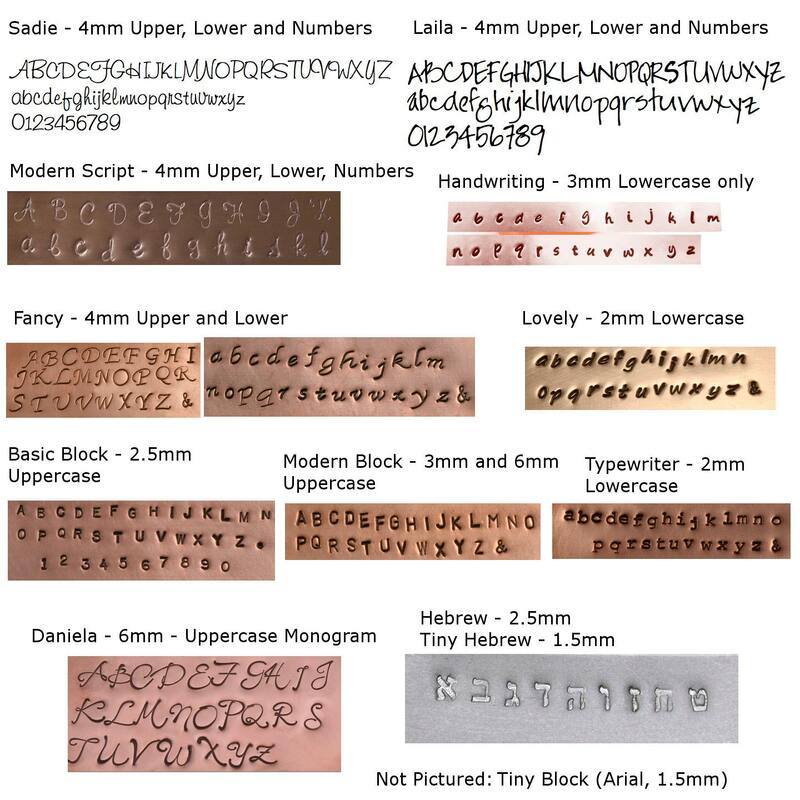 The font shown in the listing is the Laila font and will be the default if no font is specified. Please see the 4th picture for font selections. The third picture depicts the difference between this necklace (1/2") and my 5/8" and 3/4" discs. In the picture the 5/8" and 3/4" discs have been given a rustic finish - oxidized, hammered and brushed.